Kamal Haasan and Rajinikanth are two giants of Tamil Cinema, who have the Tamil Nadu politics split across the centre. A theatre of absurd has been playing down south for a very, very long time. A state, a people, living on the recipe of hatred is bound to self-destruct. Unfortunately, Tamil leaders, beginning with Periyar did their best to build their empires of negative politics for a very long time. Their success was never in subtlety. They succeeded with islolationist politics, built upon the hatred towards the mother nation. The whole of dravidian Politics, DMK and AIDMK thrived on an anger based on some Anti-Aryan theory, much promoted by the British. British entry into India, as elsewhere was not purely political. It was the conniving communion of the interest of the Church and Commerce which pushed the British into this whole business of colonialism. The Church hated the deep rooted spiritualism across India. The South needed more attention, since the Hindu spiritualism remained purest there, away from brash and brutal attacks of Islamic invaders from the North-West which inflicted deep wounds on the civilization, mutating, converting and transforming it into a form beyond recognition. This was only place in India which had managed to escape the fury of fanatic faithful across the centuries. Attention of the Church is what the South got aplenty under the British rule. The human migration from 6000 to 7000 Years back became a big Aryan invasion and a rallying point. Based on imaginary history, a fictional politics was erected, appealing to the fake theory of dravidian discrimination. In no time, the same Tamil Nadu, which was welcoming the Christianity some 1500 years and Islam for some 1000 Years, was antagonistic to the way of life which it had made its own some 7000 Years back. Suddenly Hinduism became some recent imperialistic mission to be fought against. Anger blinds men and transforms men into the mob. The shared history and heritage became a victim to maniacal anger, as the people stamped with tutored anger over their own past. When the decibels rise, the truth is the first casualty. Grand words are used to hide small but critical facts. Any politics, as we have seen since the fall of Roman Empire, which becomes a hostage to the narrative of personality Cult, is doomed. The first thing it does is to remove the concept of accountability which is the foundation of a healthy democracy. Demagogues are never good for democracy, for they hide more than they tell. An ascetic gets married to a girl, more than three decades his junior and then explains that it is only to protect the assets of ascetics after his passing away. The noise and blind worship makes sure that no one notices the inconsistency between the word Ascetic and his assets which he was claiming to be trying to protect from falling into wrong hands after him. Truth, though limps, as per Jonathan Swift, it surely does catch up with the nimble-footed lie. The only answer then is to raise the rhetoric, increase the decibels. As the churn of Indian conscience happens with the Right-Wing politics in ascendency, the leftist propaganda comes undone. We find that Sage Agastya, in Vedic times had reached Tamil Nadu. We learn that Sage Agastya (yes, that Northie) sat on a mountain dividing Tamil Nadu and Kerala and created Tamil Language, under the guidance of Lord Shiva (yes, that dude from Kailasa Manasarovar in the North) rescuing probably what was left of their language with the migrants who came in from Balochistan and settled in the southern tip of the nation which as per Vishnu Purana spread between the Mountains on the North and the ocean in the South. We learn that the Pandav Prince Sahdev went down to the South to make the Tamil Nadu a part of the Kingdom of Indraprastha, some 5000 to 6000 Years back. As truth comes unravelling, political leaders raise themselves upwards, so that the questions do not reach them. Politicians are usually the last to note what goes into the minds of the people. For long the Tamil Politics was being played between AIADMK and DMK, with the Islamists, Church and Communists lurking on the background. Both weak on morality and strong on the politics of frenzy, which did great job in drowning voices of discontent. Corruption was rampant, blatant and institutionalized. While there was a race among politicians to claim the dynastic role after J. Jayalalitha, no one paused to even ponder over the fact that had she been alive, she would have been occupying the cell next to Sasikala. In a bleak political scenario which had that episode of imprisonment of Shankaracharya, no one has time to think clearly. But people, I would think have grown wiser, as they reel under mis-governance braving Tsunamis and cyclones. The people of Tamil Nadu, I would hope, have now seen through the hollowness of fake history created by Dravidian politicians and want to belong. I would presume Tamil Nadu is ready to reclaim its heritage of belonging. This is why I look at Rajinikanth joining Politics with great hope. This is why I hope that Subramaniam Swamy would take a vow of silence for a while. 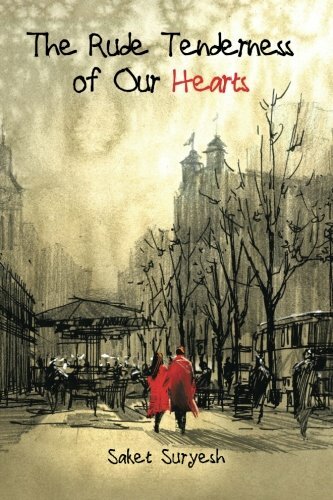 In the cynical world of today, we do not need less of brain and more of heart. 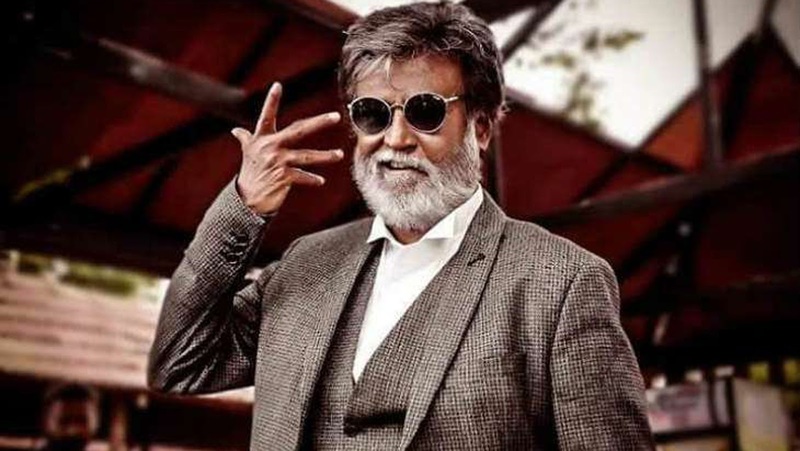 Rajinikanth spoke of return to the politics which is “Honest, transparent, secular and Spiritual.” Unlike a Kamal Haasan who has been somewhat like a Kejriwal with a ready word for every occasion; Rajinikant’s walk into the world of politics has largely been taciturn. He has not been speaking as much. Words of a man who does not speak much carry much value, for he means what he utters most of the time. I am charmed by the terms he chose to describe the politics he intends to embrace. All these words collectively merge into one word, if they are sincere. That word is Dharma; that word is Hindu. Secondly, he ended his first address as a politician out in open with the words- Jai Hind. With that JD-S Convert of a Congressi, Siddaramaiah on the other side of the border, whipping the fanatical frenzy of Kannada pride, while celebrating Tippy Jayanti; this ‘Jai Hind’ feels like a fresh breeze of change in southern politics. The old-styled Tamil politicians and observers claim that Rajinikanth being a Maharashtrian from Karnataka as a Tamil Politician will be his weakness. I say that it would be his strength, and would be his appeal to people who have long lost their true identity behind divisive parochial politics which did nothing but cut them from their own past and history. At a personal level, Rajinikanth is known for a very middle-class ethos and humble lifestyle. Amid all the polygamist leaders; Monogamist Rajinikath, in a stark contrast represents a heartwarming old-fashioned Hindu morality. We can always downplay the personal morality aspect of a politician on account of political correctness. But then, the electorate watches their leaders very closely. Some may say I am being too imaginative and hopeful. But then, in times of despair, all that one needs is a little bit of hope, and that is what Rajinikanth represents to me. He represents a hope and a promise. He represents a long-lost connect of our southern brothers with the Nation which has been waiting for them, standing with them in Jallikattu protests even when it could not pronounce the word properly. Politicians might have missed the pulse of the people of Tamil Nadu, which I think, now beats in unison with the rest of the nation. Rajinikanth might mean Ghar-Waapsi of the state of Tamil Nadu. A very young Rajinikanth fan on NewsX said that we must not evaluate the meaning of Rajinikanth’s entry to Tamil Nadu politics; we must consider what it means for Indian politics. This statement from a young Tamil boy carries multiple meanings of hope which I talk about here. I may be dreaming. But it seems like a good dream to dream about. For the moment.